Are you coming to Play Out? Play Out applies a small social group approach to encourage the take-up of regular activity. This may be through walking, running or cycling. Empathy with the process is very strong, as Richard only commenced the process himself a few years ago after many lethargic office-bound years. However, setting challenge after challenge through cycling and running now constantly looks to inspire others to benefit from the mental and physical rewards on offer from a regular active life. 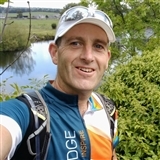 Richard is a qualified England Athletics Run Leader as well as a British Cycling Ride Leader. Running and Walking is covered with Run Together but please feel free to visit the British Cycling group here. Read more about Richard's journey over on www.wozzy.co.uk and future challenges over at Sweat Pledge.